The Sahachat Memorial was built in 1913 by three members of the Siamese royal family to honour Queen Sri Phatcharinthra’s 50th birthday. It might seem like an unusual idea for a sculpture, but the queen was born in the Year of the Pig as were the three people who sponsored the memorial including the man who designed the cast metal sculpture, Prince Narissara Nuwattiwong. 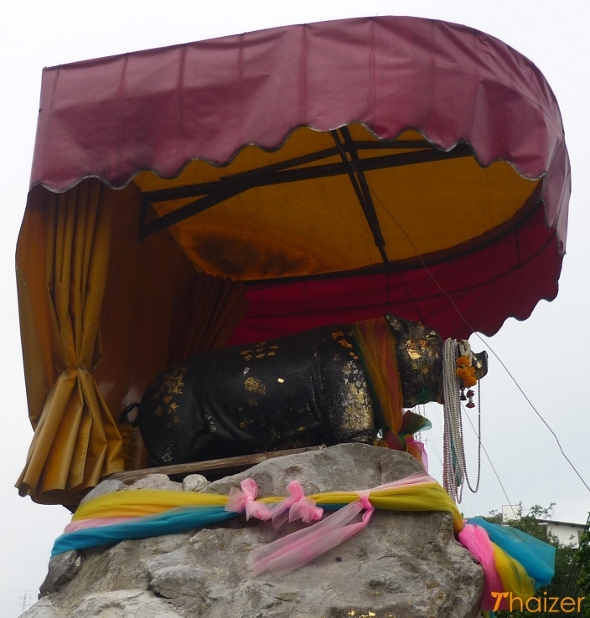 The main pig statue is protected by a canopy and sits high up on a stone plinth at the base of which there are also some smaller pig statues. 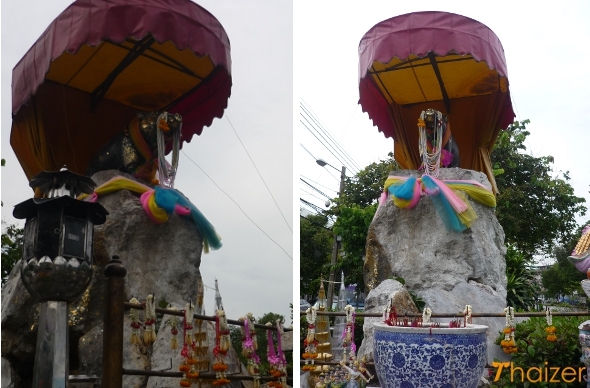 Although the queen died in 1919 she was one of the wives of the much-loved King Chulalongkorn (Rama V) and as such is held in high regard by Thai people who continue to bring garlands of flowers and place gold-leaf on the statues. The memorial has also developed into a more general shrine for people born in the Year of the Pig who want to make-merit or those who want to honour a family member with a pig-year birthday. 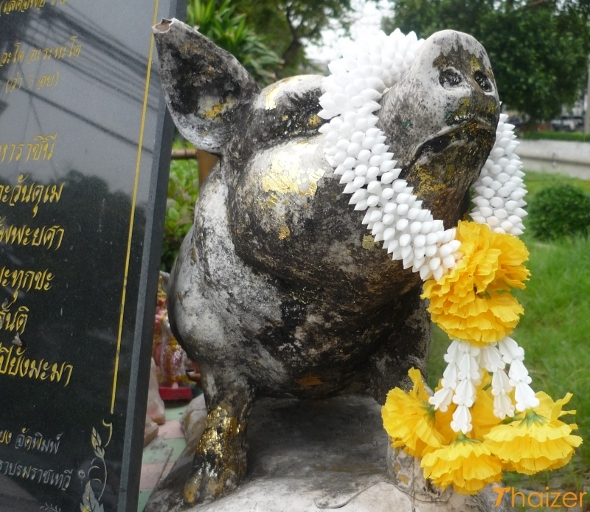 The Pig Memorial is located behind the Foreign Affairs Ministry and adjacent to Klong Lod canal. Nearby attractions include the Grand Palace, the Bangkok City Pillar and Saranrom Royal Garden.